Blogger Buster: Happy 10th Birthday Blogger! 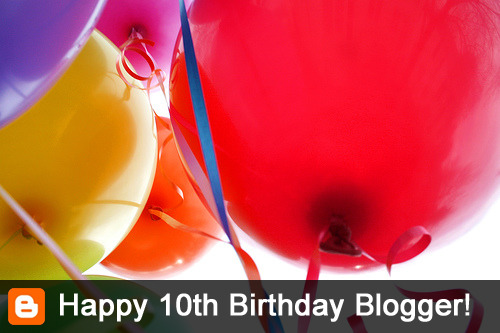 Today marks ten years since Pyra Labs first unleashed Blogger onto the world! And how Blogger has grown: from humble beginnings to a multi-national, multi-lingual, Google-owned, highly powerful publishing platform which hosts over 300 million blogs (not counting those hosted on custom domains...). I can't tell you about that yet. But I promise, the wait will be worth it! Wishing Blogger and the entire, hardworking Blogger team a wonderful 10th birthday! We're all looking forward to these new, interesting and useful features you have planned for us. Here's to many more decades of "push button publishing" with Blogger! 101 Awesome Free Blogger Templates.